A few years back Lori and I spent a few days in the Santa Maria/Santa Ynez Valley/Santa Barbara area doing some tasting. We had some great wine tasting experiences on that trip, but overall the best wines (and tasting experiences) were the Rhônes, the Syrahs, Grenaches and Mourvèdres and blends of those (typically called “GSMs”). Over the last month or so we’ve had a chance to open up these wines we tasted and bought, and Wow! First, there was a 2010 Qupé Syrah, Bien Nacido Vineyard, opened the weekend we spent celebrated my mother’s 85th birthday. Big, yes, but more graceful than we usually get in a wine with this much fruit. “Graceful?” I was looking back on my notes from a Wine Bloggers’ Conference panel on Syrahs, and one of the participants compared Syrahs to the dancing hippos from Fantasia, at once big but surprisingly light on their feet and graceful. Opening the Qupé also reminded us of the visit to the Qupé winery (not the tasting room), and being invited to join Bob Lindquist and his team for lunch in the winery. One of our most memorable meals ever. The Carr tasting room in downtown Santa Barbara. 2012 Carr Grenache from Santa Barbara County. Small lot, 100% Grenache from Carr. The second bottle opened, also in Mom’s honor, was the 2012 Carr Grenache, Santa Barbara County. It’s hard to adequately describe this wine, made from 100% Grenache, grown in a vineyard south of the city of Santa Barbara, pretty much where no other vineyards are located. Grenache fruit up front, both in the nose and the initial entry into your mouth, then this fullness in mouth like it’s expanding to fill all available space, then a lingering flavor in your mouth but without a lot of tannin. It’s time to order more of this from the husband and wife team, with the great tasting room in downtown Santa Barbara. Hilarie Clarke Harrison outside the Harrison Clarke winery in 2015. Harrison Clarke is in the Ballard Canyon AVA in the Santa Ynez Valley, Santa Barbara County. Harrison Clarke 2011 Eve e Marie was made from Syrah and Grenache. The last bottle was 2011 Harrison Clarke Vineyards Eve e Marie, Ballard Canyon, Santa Barbara County. Eve e Marie is a blend of 70% Syrah and 30% Grenache from another husband and wife team. 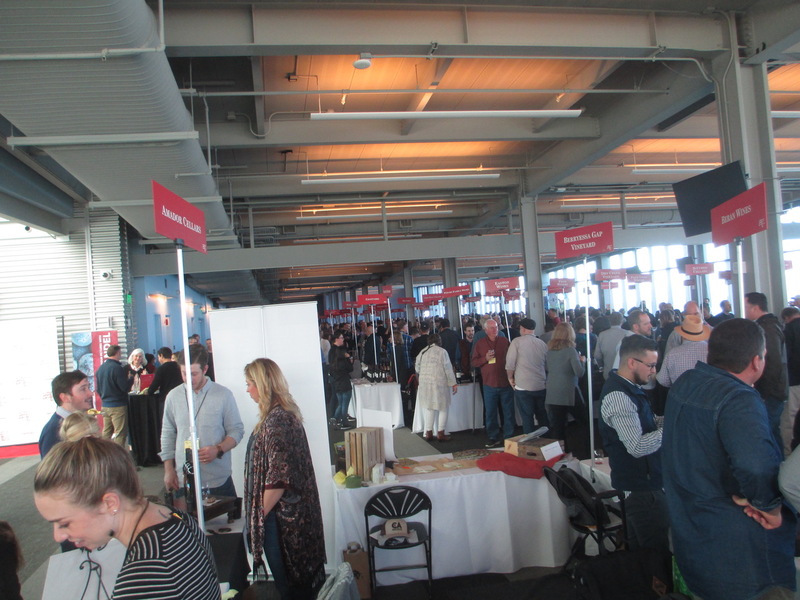 Actually, at that same Wine Bloggers’ Conference panel where panelists were describing Syrah as dancing hippos or thunderstorms or just dangerous, Hilarie Clarke Harrison stood out for her no-frills approach. This approach is embodied in their wines, made from grapes they grow themselves, harvest row by row, transport a few hundred yards to their winery, and make into wine. 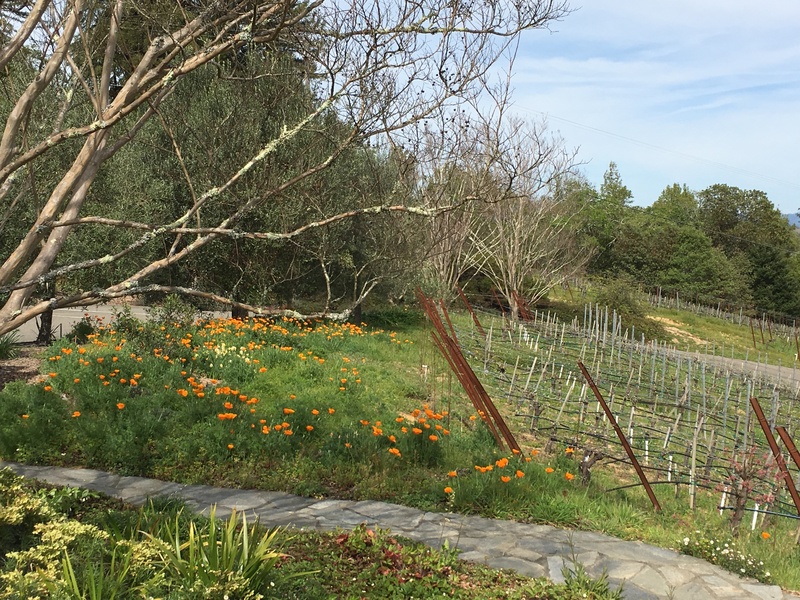 It was a pleasure to visit their vineyard and winery, to walk those rows of Syrah, Grenache and Mourvedre with Dave Harrison, and taste with Hilarie. It’s just good, very good, wine. This bottle was opened last week with some friends that mentioned that they were looking for good Syrah and GSM. This entry was posted in wine tasting and tagged Ballard Canyon, Carr, grenache, Harrison Clarke, Mourvedre, Qupe, Rhone, Santa Barbara County, Santa Ynez Valley, syrah on September 13, 2018 by vvblogman. Elli checking the vineyard. Are the grapes ready yet? The 2018 harvest has started, and the early returns are … delicious. 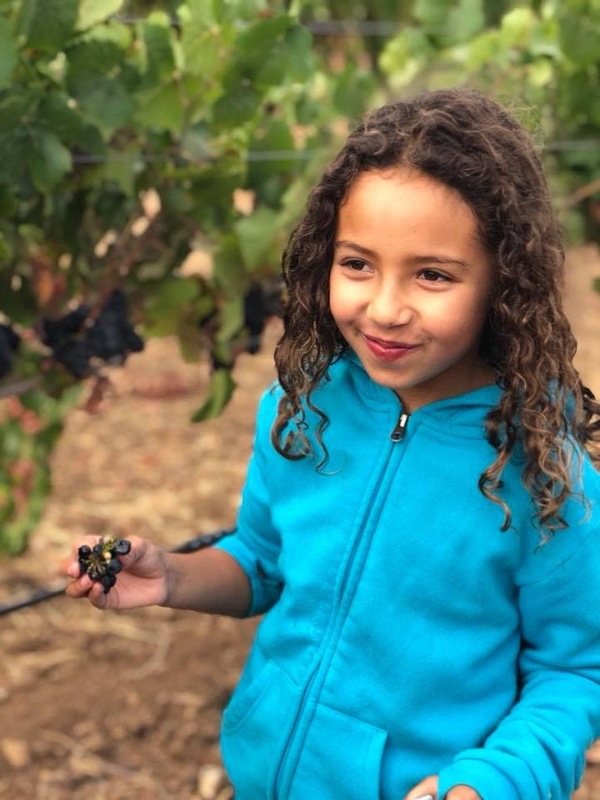 At least so says our granddaughter Elli, shown above while helping her father Brandon (Winemaker B at Armida) check the Pinot Noir and Zinfandel grapes at Parmalee Hill Vineyard in Sonoma County. Brandon gave a quick summary of the harvest expectations the other night over dinner. Summer weather was good. No prolonged hot spells, especially near the end of summer, that can throw off the ripening of the grapes. Also, no hot spells in sight for the next couple of weeks. This is producing a slower start to the harvest, as some of the varietals, especially the early ripening varietals like Chardonnay and Pinot Noir, are taking longer to ripen. Interestingly, the early Sauvignon Blanc came in at about the same dates as last year, and seems really good. 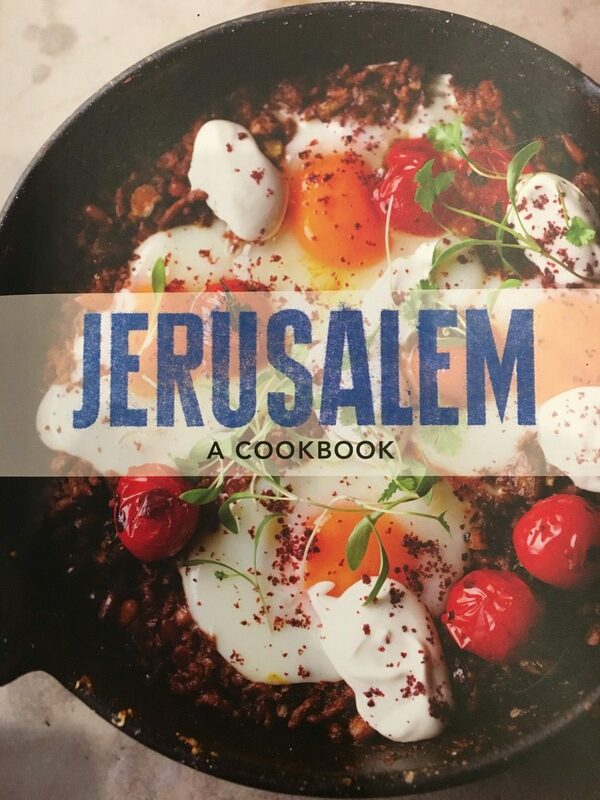 We’ve tasted the juice, and agree: wonderful! The slower ripening means longer hang time (total time on the vine), and this can result in enhanced flavors in the grapes. 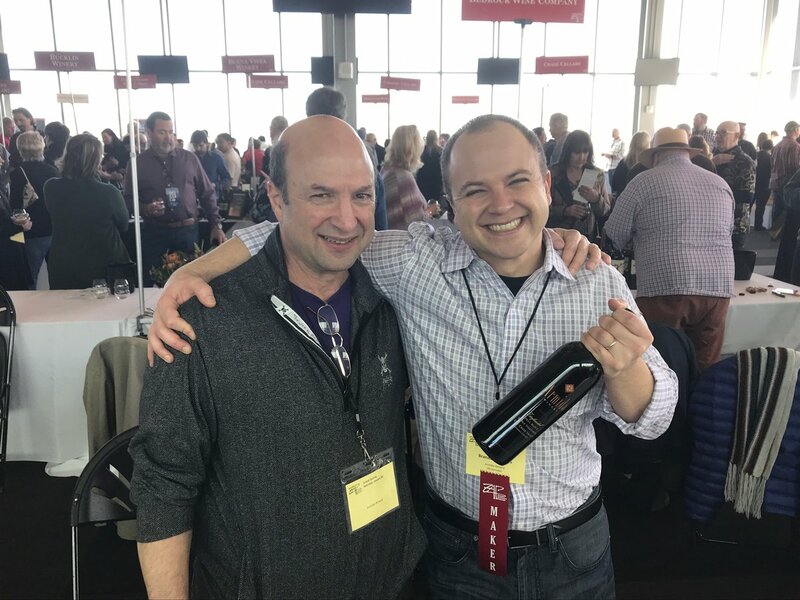 Brandon is cautiously optimistic, although he did say something like this could end up being the best vintage of the decade, especially for the big reds like Zinfandel, Cabernet Sauvignon and Syrah. Of course, this is just his opinion, and he’s focused on Sonoma County and Dry Creek Valley specifically, so we’ll see how things go over the next 8-10 weeks. 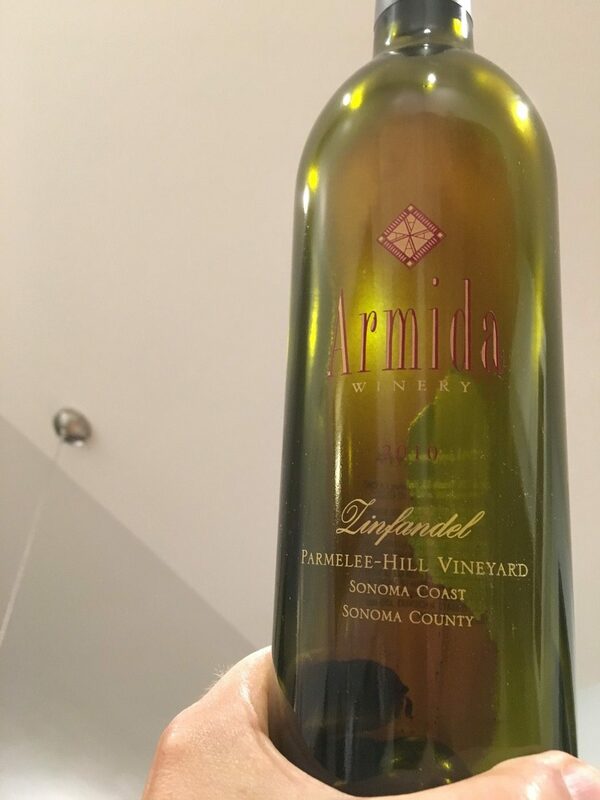 This entry was posted in wine tasting and tagged Armida Winery, harvest, Sonoma County on September 10, 2018 by vvblogman. 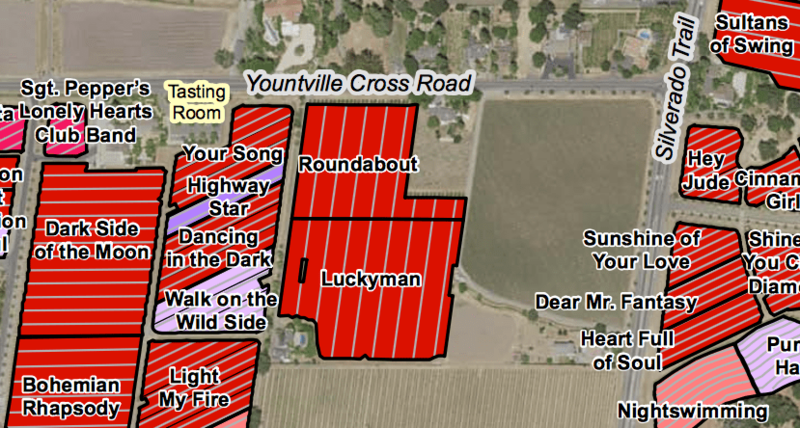 The Porter Creek Vineyards tasting room is not much more than a glorified tool shed. 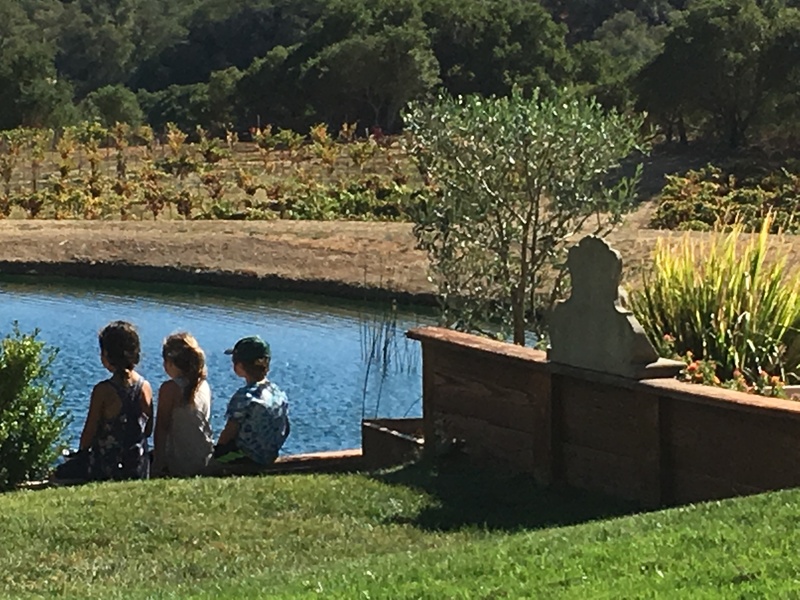 Lori and I took some friends wine tasting the other day in the Russian River Valley, and our first stop was Porter Creek Vineyards. 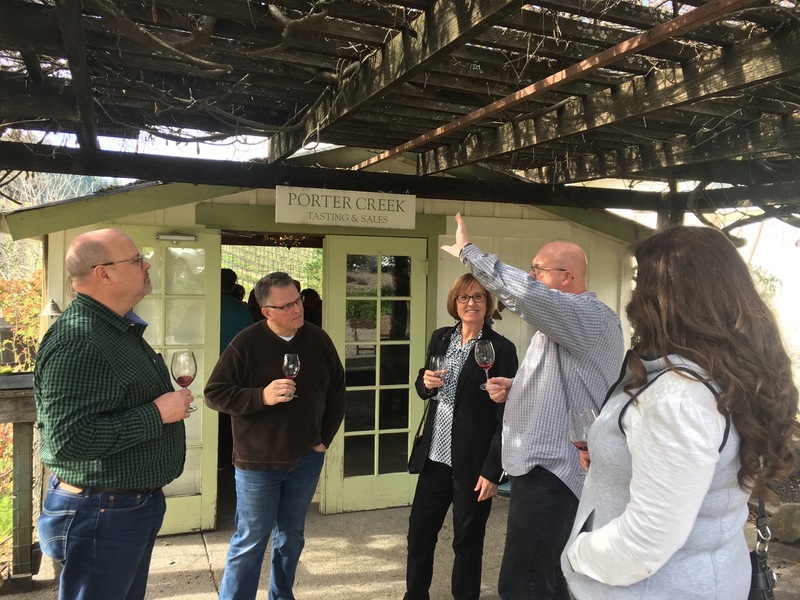 We had only been to Porter Creek once before, but it was a memorable wine tasting experience. We were there with my parents, pulled into their dirt parking lot, and between there and their tool shed of a tasting room we were greeted by a pair of big dogs. Probably around 100 lbs each, friendly as could be. We all love dogs, so that started the tasting off on a great note. As far as I remembered their wines, while they’re known for their Pinot Noir, it was the Syrah that we loved and walked away with that day. Vineyard view at Porter Creek Vineyards in the Russian River Valley. No big dogs this time. Forgot to ask about them. Instead of the big dogs, we got Paul from the tasting room, letting us know that us guys could use the ladies room, because where he’s from “they all wear skirts.” While I’m sure Paul doesn’t have any bad days, he was particularly happy that day because the Scots had beaten England in rugby earlier in the day, for the first time in some large number of matches. He’d even posted the score on the wall behind the tasting room bar. Tasting with friends at Porter Creek Vineyards. Porter Creek still has the same tasting room, crowded enough on this day that we took our tasting outside. More Pinot Noir to taste than any other wine. They are in the Russian River Valley after all, and Pinot Noir is what the RRV AVA is known for. However, our favorite of the day was again the Syrah, the 2012 Timbervine Ranch, Russian River Valley. Interestingly, they put a few percent of Viognier in the Syrah, similar to the winemaking style in the Northern Rhone Valley in France, which helps give a boost to the nose on the Syrah. I don’t know if it was that, or just good Syrah grapes, but this was a really nice Syrah from start to finish. Not too big and bold, not in your face, just waiting for a nice lamb chop to pair with it. They also had a Carignane, 2012 Old Vines Mendocino County. I don’t think I’ve ever run into one before, since Carignane is almost always (now with one exception) used as a blending grape. 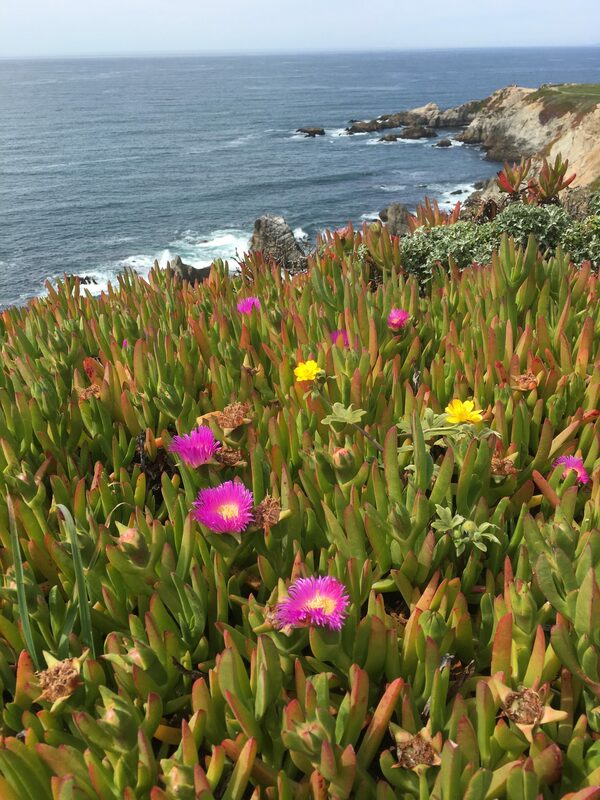 Sort of like coming across a California Grenache, except that bottles of Grenache are much more common. I really liked the Carignane: it was a bit bigger and bolder than the Syrah, felt like it filled up your mouth a bit more. We walked away with some of the #PorterCreekVineyards Syrah and Carignane, with me humming one of my old college drinking songs, which I’ve been told (after a few pints) has direct roots in rugby drinking songs. 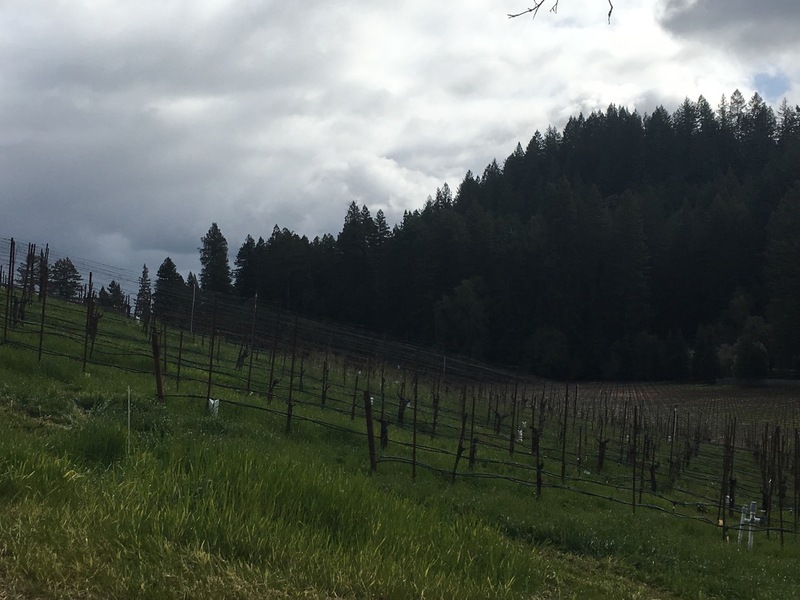 This entry was posted in wine tasting and tagged Carignane, PorterCreekVineyards, rugby, Russian River Valley, syrah on March 6, 2018 by vvblogman. An old friend of ours, ex-girlfriend of one of our sons, daughter of friends of ours had her first child a few weeks ago. 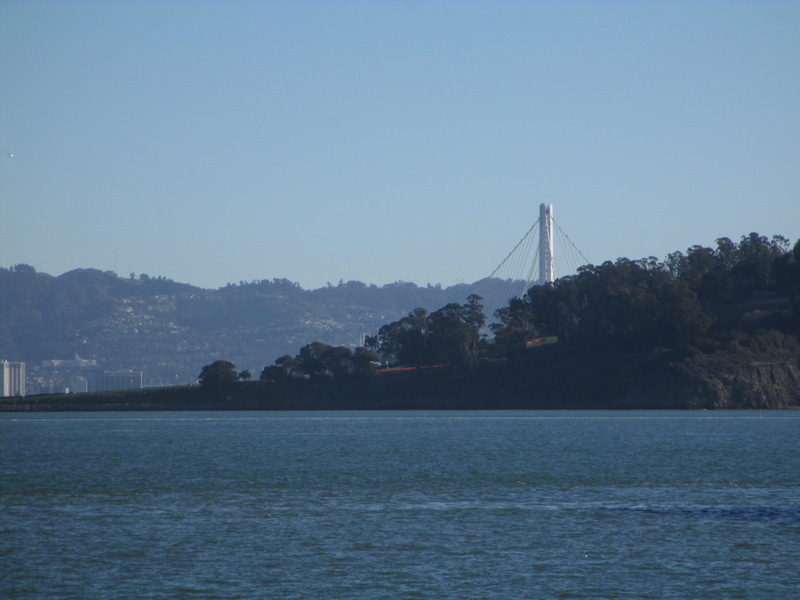 As she lives relatively close by, in San Francisco, we thought it would be good to go visit, see the baby, and bring them a meal. It was one of the first colder weekends in the Bay Area, so we decided on soup for lunch, and of course we needed to bring a bottle of wine. Baby Miles was 2 weeks old when we visited, and also of course, Lori had to hold the baby. Interesting to note that this is the third “Miles” that friends have had in the last 1 ½ years. First was Milo, then Myles, and now Miles. I don’t see this on the list of trending baby names, but maybe our friends are just ahead of their time. 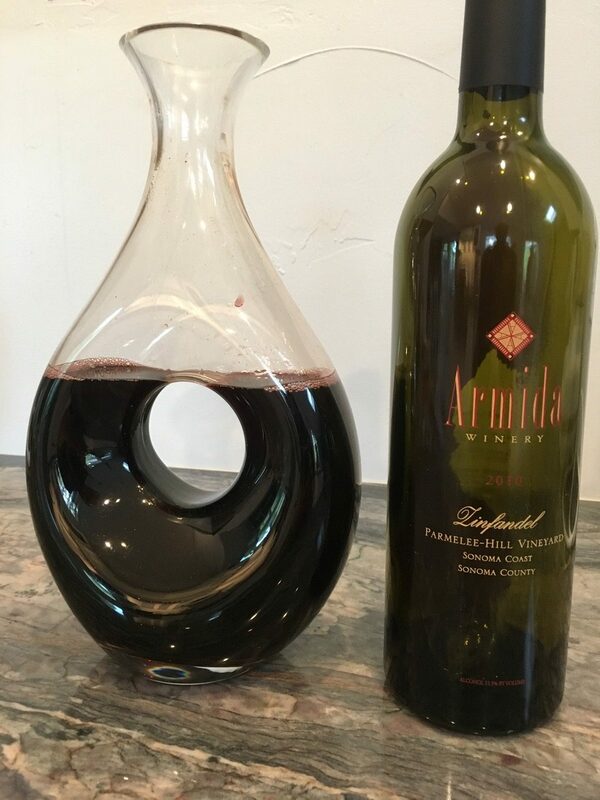 Minestrone was chosen for the soup, to be served with a loaf of fresh sourdough plus a bottle of 2007 Arrowood Syrah, Sonoma County #Arrowood #Syrah #SonomaStrong. We enhanced the soup for the lunch by adding some beef to it. 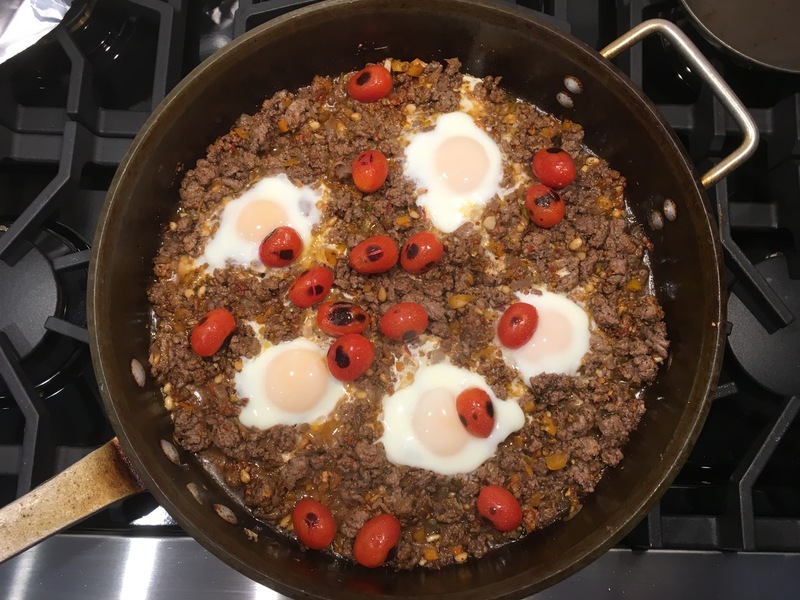 You can find the recipe on the ViciVino.com recipe page. The Syrah was delicious: nice nose, great fruit, enough structure and body but a very smooth, easy finish, and went great with the soup. 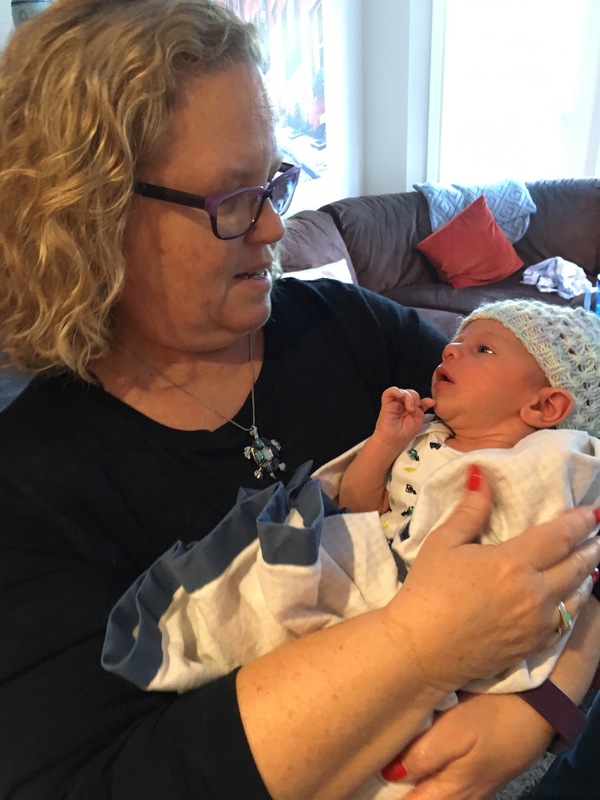 We all – new parents, grandparents, Lori and I – really enjoyed the soup, and especially enjoyed catching up and telling stories of the new mother when she was young, plus other fun stories. Our best wishes to Miles for a long and healthy life, and to the parents, may he bring them much nachas. 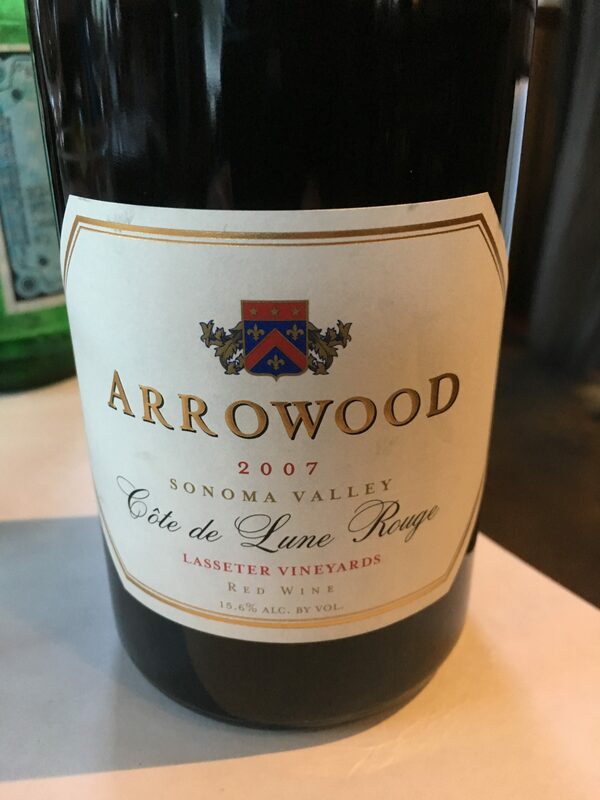 This entry was posted in wine-food pairing and tagged Arrowood, SonomaStrong, syrah on November 26, 2017 by vvblogman. The initial tasting lineup at Foley Johnson. Bill Foley has been on a mission to build a wine business, much in the way Jess Jackson did with Jackson Family Wines. Bill started with Foley Estates in the Santa Rita Hills AVA of Santa Barbara County about 20 years ago, and now has, as part of Foley Family Wines, wineries in Santa Barbara, Sonoma and Napa Counties, Oregon and New Zealand, with the current total being somewhere in the neighborhood of 20 wineries. He’s also built a wine distribution company to help get the wines to the consumers. He even recently hired the former president of Jackson Family Wines. Halloween scarecrows in the Foley Johnson patio. 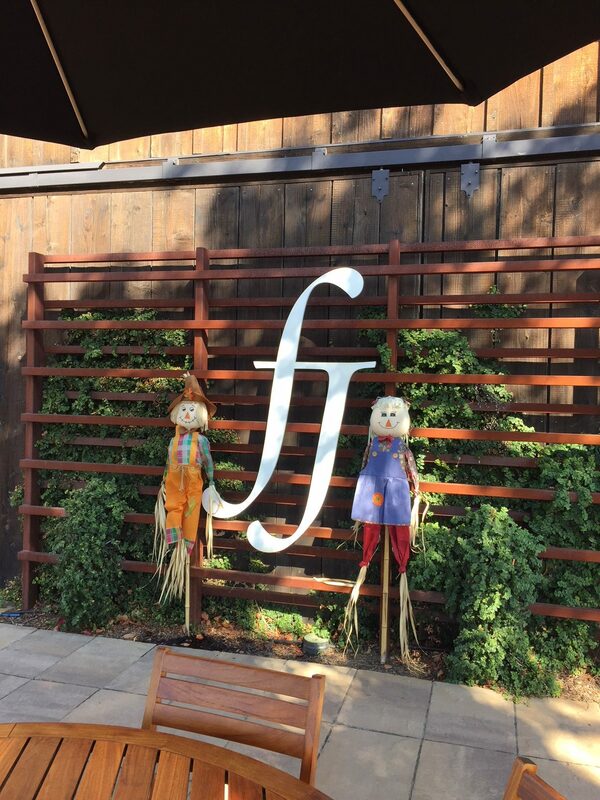 Lori and I recently visited Foley Johnson Wines in the Rutherford AVA of the Napa Valley, essentially between Yountville and St. Helena on Highway 29. Foley Johnson was founded in 2012, and is named in honor of Bill Foley and his wife, Carol Johnson Foley. 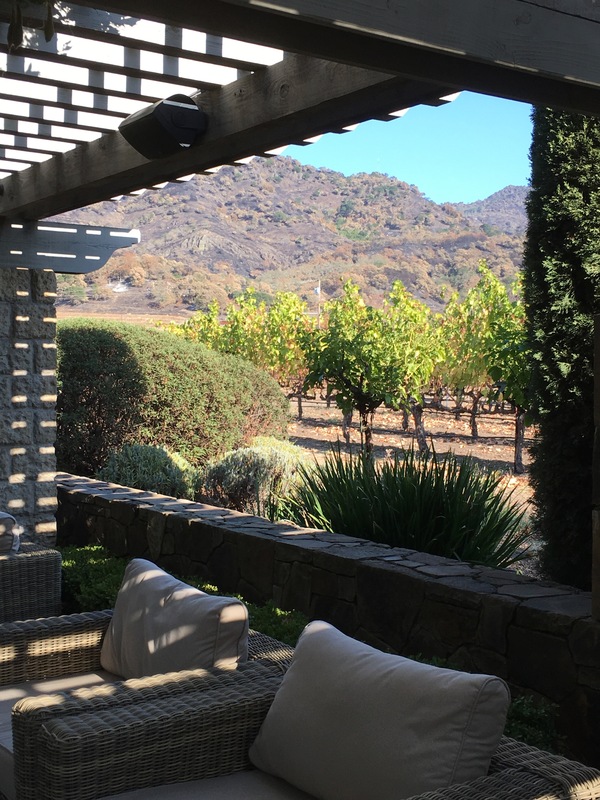 They have a beautiful tasting room, with a great patio if you’d like to take your tasting outside, and have views of the vineyards and hills. 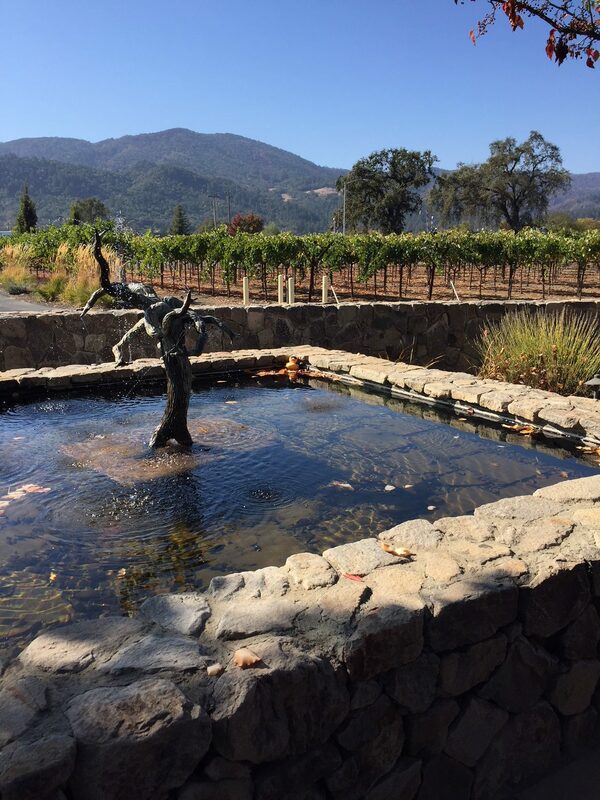 A statue of head-trained old vine Zinfandel is the centerpiece of the Foley Johnson fountain. We had a great tasting there, helped by Kenny, an ex-Marine who has been in the wine business for about 20 years and now is certified as an advanced sommelier. Foley Johnson makes “Estate” wines, with grapes grown on their property, and also makes a “Handmade” series of wines with grapes both from their estate and from other vineyards in Napa Valley and Santa Rita Hills. We started by tasting both the Estate and Handmade Sauvignon Blancs from 2016. Two different styles of Sauvignon Blanc, the former with a bit more bite, possibly better with food, the latter a bit smoother, might age well for a white. Lori and I split on these, with Lori liking the Estate better, while I liked the Handmade one. We moved from there to the 2013 Estate Merlot (98% Merlot) and the 2014 Estate Meritage (52% Cabernet Sauvignon, 25% Merlot, 10% Petit Verdot, 10$ Cabernet Franc, 3% Malbec). The Merlot was nice, not too soft, with some good tannins on the finish. The Meritage was similar, but with a better entry into the mouth. Really liked that Meritage, and at $45 per bottle, it’s a very good value. (Yes, we bought a few.) Last we tried a couple of the Handmade Cabernet Sauvignons, made mostly with grapes from their Rutherford estate. Delicious! These were priced more in line with Napa Valley Cabernet Sauvignon at $110 per bottle. (That’s probably median pricing for Napa Valley, but not the ultra-high end of $200+ per bottle.) Bought a couple of the 2014 Foley Johnson Handmade Cabernet Sauvignons too. Behind the bar in the Foley Johnson tasting room. View from inside the tasting room at Foley Johnson. 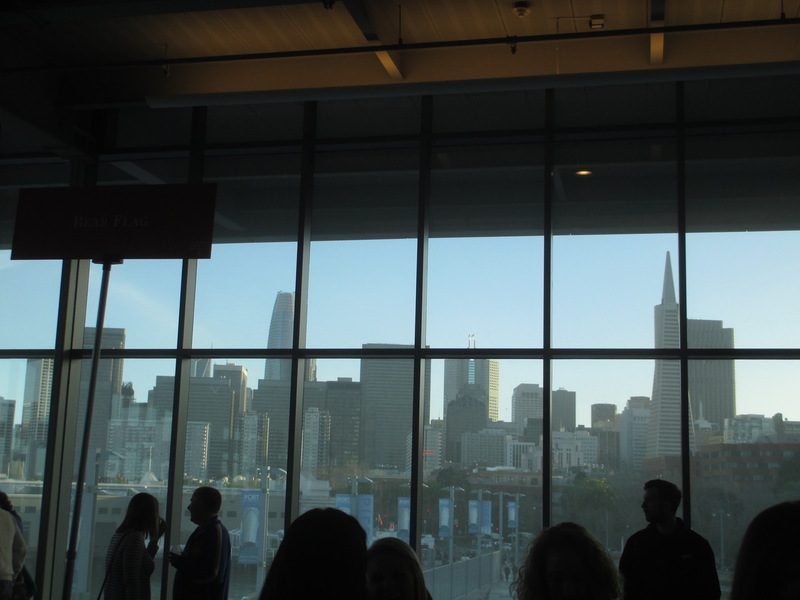 My takeaways from Foley Johnson? 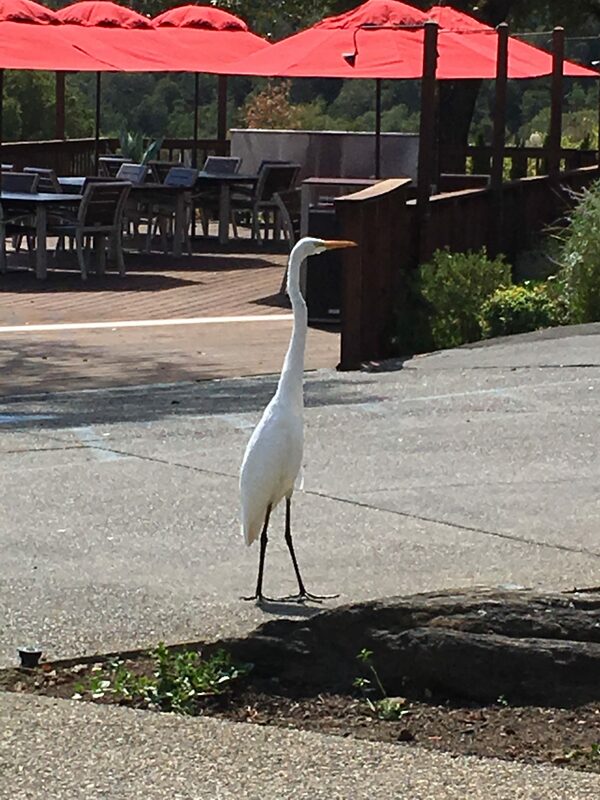 More down to earth than many of the Napa Valley wineries, more affordable than the majority of the Napa Valley wineries with their wines priced below $65, and really good wines. 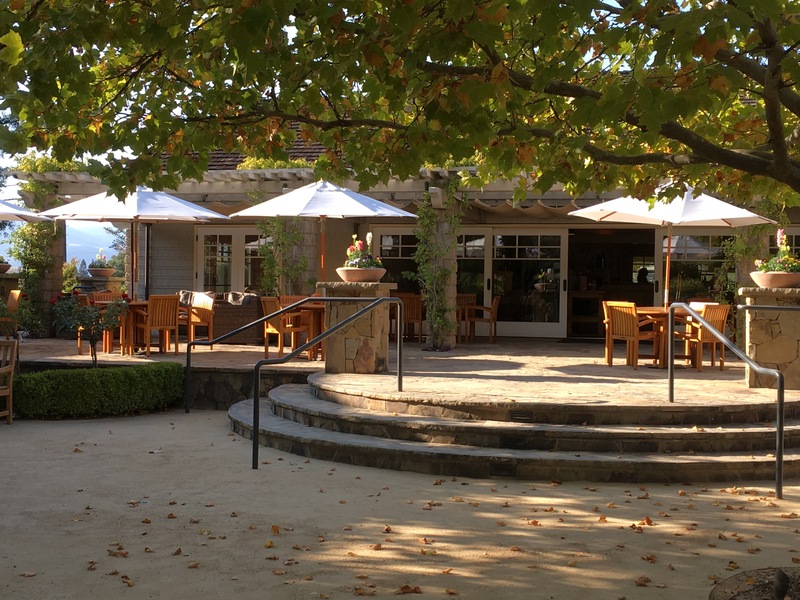 On my list to recommend to friends for Napa Valley visits. 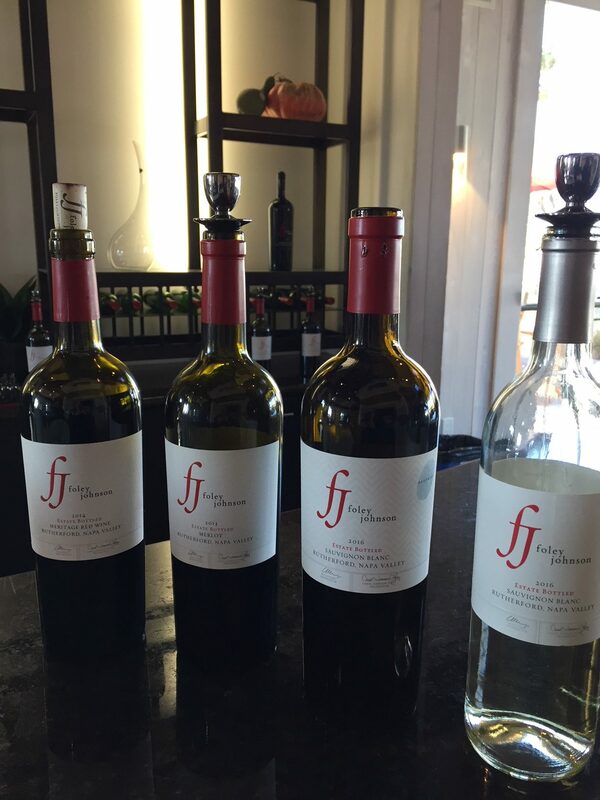 This entry was posted in wine tasting and tagged Bill Foley, Cabernet Sauvignon, Foley Estates, Foley Family Wines, Foley Johnson, Napa Valley, Rutherford AVA, Sauvignon Blanc on November 7, 2017 by vvblogman. Burnt hills from the Atlas Peak fire above Cliff Lede Vineyards. A long time ago, when we were first starting to go to Napa Valley, we visited a winery called S. Anderson. On the edge of the Stags Leap District, S. Anderson made very good Cabernet Sauvignon and Sauvignon Blanc, and also was relatively unique in producing sparkling wine. In 2002 Cliff Lede purchased that Stags Leap property, and Cliff Lede Vineyards and Lede Family Wines were born. Some of the Rock Blocks from Cliff Lede Vineyards. One of the first things Cliff did was to start replanting the vineyards. The problem? Vineyard blocks, with different varietals, are most often given numerical designations: Block 1, 2, … Cliff couldn’t remember which numbers went with which varietals, so the names of favorite rock songs and albums were used. Those, he could remember. I’m pretty sure Cliff is within 5 years of my age, because this reads like my high school playlist: Dark Side of the Moon, Your Song, Magic Carpet Ride, Born to Run and a whole lot more. There’s a taste of it above, but for the full map (and cheat sheet) go to Cliff Lede Rock Blocks. View from under the arbor at the Cliff Lede tasting room. Burnt hills from the Atlas Peak fire in the background. One of the other things done was to revamp the tasting room, including adding a patio and arbor outside. We started our tasting at the bar inside, but soon migrated to the very comfortable seats under the arbor, just coming inside when we were ready for the next wine. Pierce did a great job helping us, although it was dangerous to come inside, as he and I talked as much or more about the music of the Rock Blocks as about the wine. 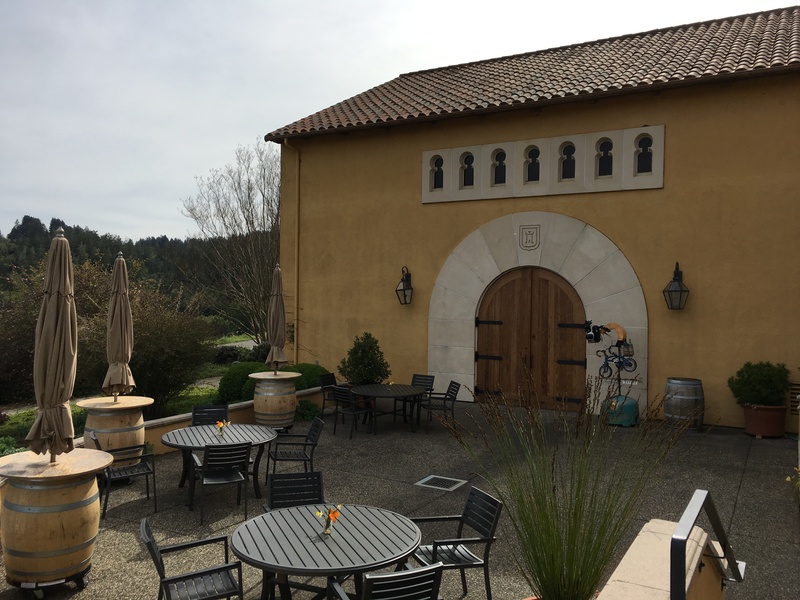 The patio at the Cliff Lede Vineyards tasting room. 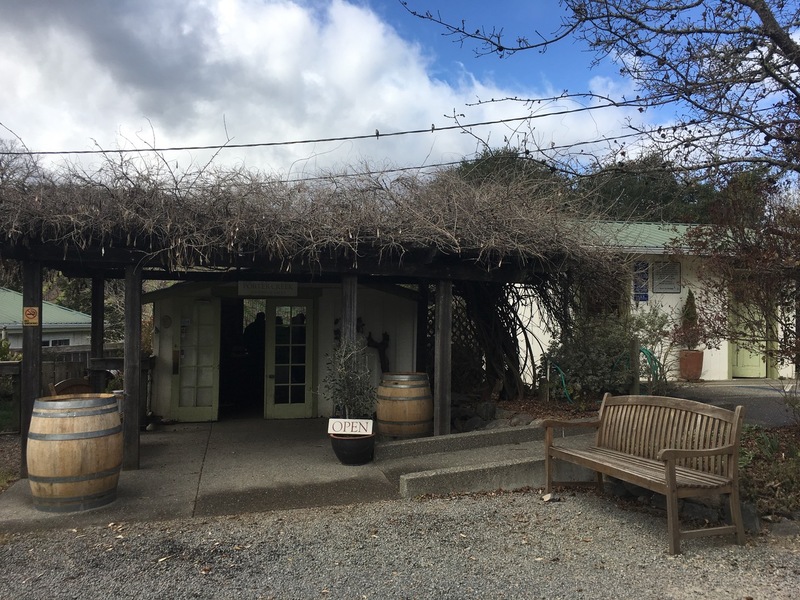 Also, while Cliff started with the Napa property, he eventually purchased Savoy Vineyards in Anderson Valley and launched the FEL Wines brand. (FEL are his mother’s initials.) FEL is focused on great Anderson Valley Pinot Noir. Two hearts statue in the Cliff Lede patio. The comfortable seats under the arbor at Cliff Lede. Leaves are starting to turn colors on the arbored walkway at Cliff Lede. We tasted both the Cliff Lede and FEL wines. The Sauvignon Blanc is still their best seller by volume, but wasn’t on the tasting menu that day. We really liked the 2015 FEL Anderson Valley Pinot Noir. It’s not common for Lori and I to agree on a Pinot Noir, but we did on this one! We also enjoyed the 2014 “Scarlett Love” Cabernet Sauvignon. The name of this blend comes from the two blocks from which the grapes are sourced. First, there’s Cabernet Sauvignon from the Scarlet Begonias (Grateful Dead) block, then there’s Petit Verdot from the Sunshine of Your Love (Cream) block. Of the Bordeaux style blends that we tasted, this was our favorite, showing nice balance from nose through entry all the way to the finish. It should age nicely; at least we’re hoping so, since we’re laying it down for one of those round number anniversaries that’s still a few years off. This was a great tasting. I’m not sure when we’ll be back, but I’m not hesitating to send friends there. 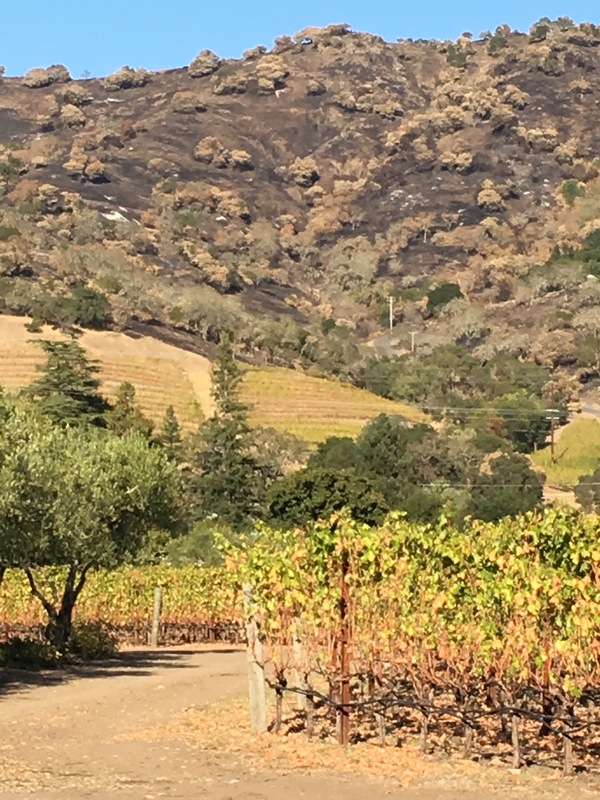 This entry was posted in wine tasting and tagged Atlas Peak fire, Cabernet Sauvignon, Cliff Lede Vineyards, Lede Family Wines, Napa Valley, Pinot Noir, Rock Blocks, Stags Leap District on November 6, 2017 by vvblogman.